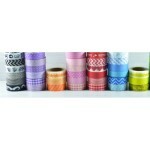 A selection of 8 patterned tapes to use in collage or display. Varying widths. 10m x 8 rolls ..
A selection of 8 black & white tapes to use in collage and display. 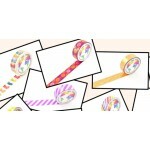 individual tape size: 15mm x 10m. ..